The fine cuts Alphabet's operating margin down from 24% to 9%, but the large increases in pre-fine numbers and the fact that the fine (should) be a one time deal have kept the market from being too upset by it. The company's effective tax rate has increased to 24%, and the number of employees working for the conglomerate is also up 17% to 89,058, compared to 75,606 in Q1 2017. 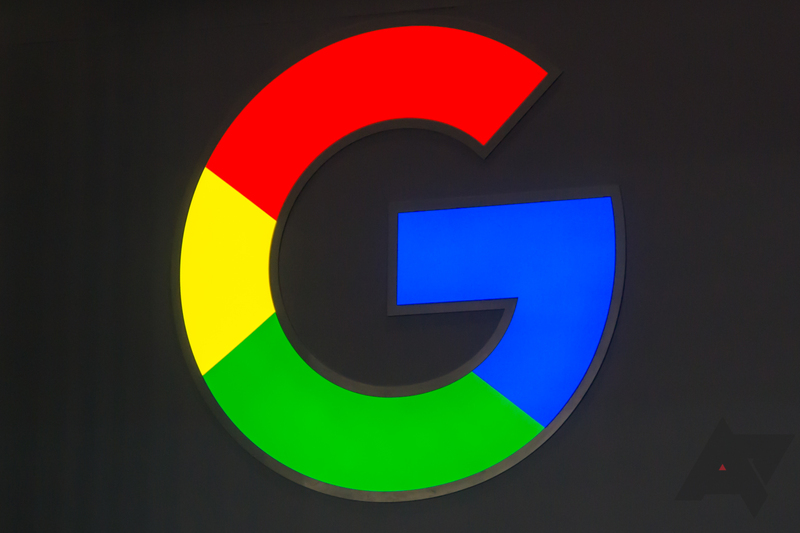 Revenues from Google properties are up overall, with the bulk of that growth coming from an increase in advertising revenues. Its "Other Bets" category remains unprofitable overall, as well, with $145 million in revenue compared to $732 million in operating loss. That means Google is still spending over half a billion dollars keeping its former Moonshots afloat. The company now has $14.1 billion in cash set aside, up $3.4 billion from the end of last year, though its marketable securities are down by nearly the same amount. Overall, the company has almost the same total value in current assets since then ($124 billion), and a bit more compared to last year when taking into account less fungible/liquid assets including properties ($211 billion). Of course, the balance sheet must be balanced, so total liabilities including stockholder equity matches. Excluding the effects of the EU's fine, which forced net income into a nosedive, Alphabet's numbers for the last quarter were stellar. Investors don't seem too scared off, either, since those numbers beat analyst expectations significantly on pre-fine, per-share profit at $11.75 ($4.45 including fines). 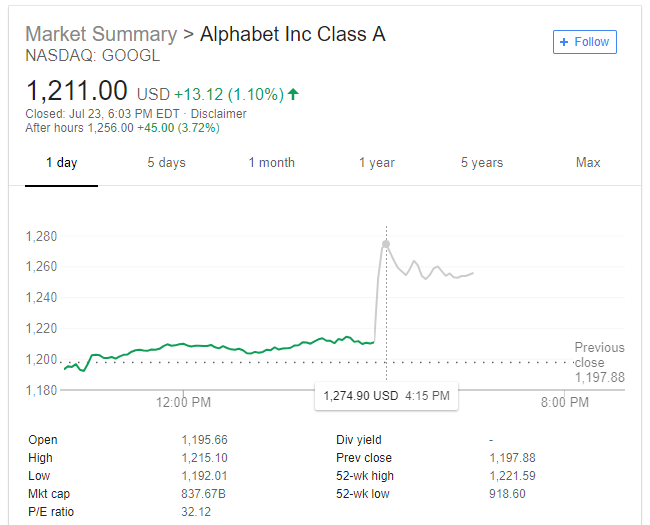 So far as those investing in the company are concerned, Alphabet/Google looks to have a bright post-fine future, with after-hours trading spiking the price as high as 5%, up to $1274.90 per share.